"You can't tax us! Our HQ's on The Moon!" "I know! 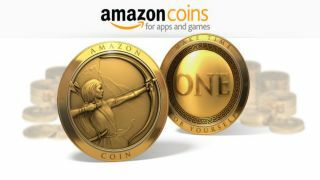 We'll pay HMRC with Amazon Coins!" You've got to admire the cheek: when the UK government asked Google why its UK operation barely paid tax, Google's answer was that it only employed leprechauns and that as we all know, fictional creatures are tax-exempt. Okay, not quite, but the real answer was hardly more believable: all those UK people selling from Google's UK offices to UK businesses aren't actually selling anything at all, because everything happens in Ireland. Amazon provides a similarly tall story: despite delivering goods from UK warehouses to UK addresses, everything it does takes place in Luxembourg. Even the Luxembourg bit doesn't pay much tax: according to the Independent, it in turn pays fees to another, tax-exempt Amazon entity. When Amazon is receiving more money in UK grants than it pays in UK corporation tax, something is terribly wrong. Google's Matt Brittin says that "tax is not a matter of choice. Tax is a matter of following the law." He's right, but MPs claim that the law isn't being followed here, that Google and Amazon clearly don't do all the legwork in Dublin and Luxembourg, and that as a result the UK taxpayer is being cheated. It certainly looks that way. Does anybody other than HMRC believe that Google doesn't do anything important in the UK, or that Amazon's 4,000-plus UK staff sit around all day doing nothing but humming? This matters because Britain is apparently broke, and the firms that avoid tax are often driving other, tax-paying, companies out of business. If what they're doing is illegal then they need the book thrown at them, and if it isn't then the law needs updated. I'm not naive enough to think that cracking down on the tech firms will solve all of the world's problems - Amazon's "sod-profit let's-grow" strategy means it makes relatively small taxable profits anyway, and will continue to do so until it's the only retailer left on Earth. But when HMRC names and shames kebab shop owners for unpaid tax you'd think it might want to do something about the billions of pounds that bigger firms aren't paying.